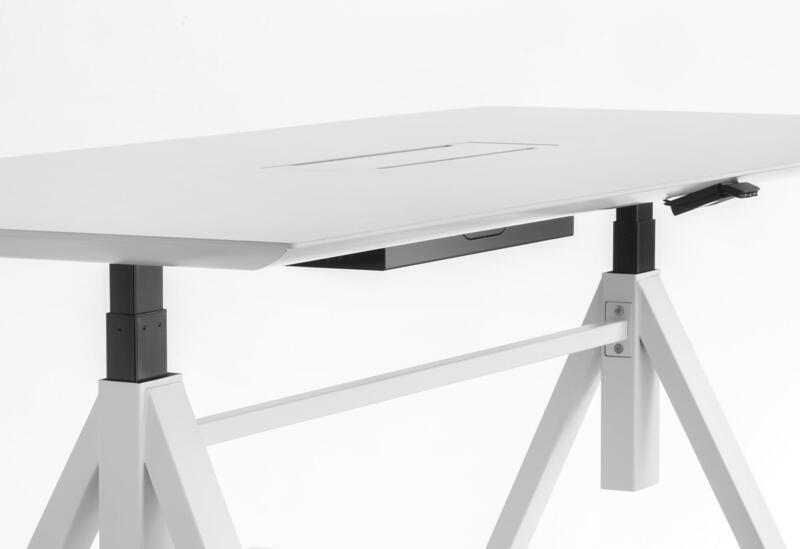 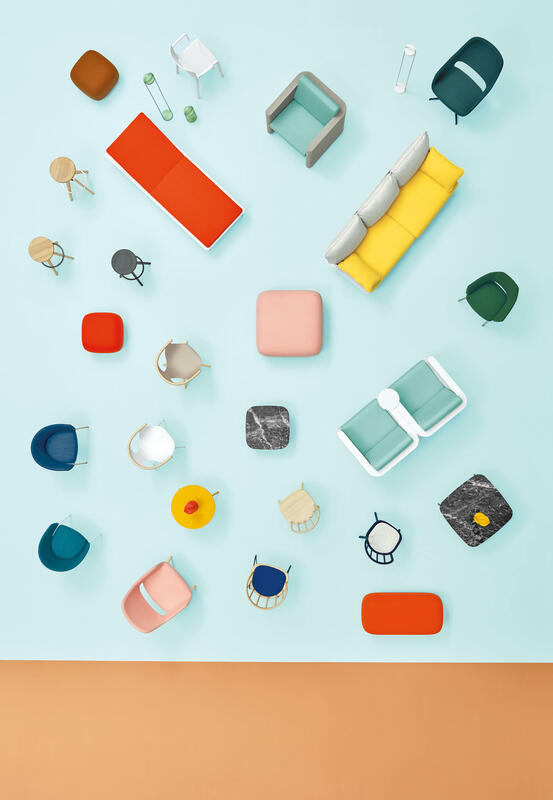 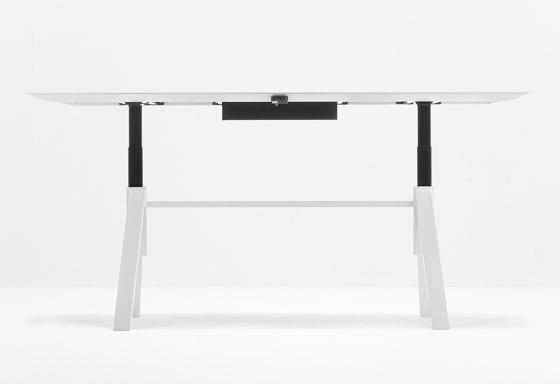 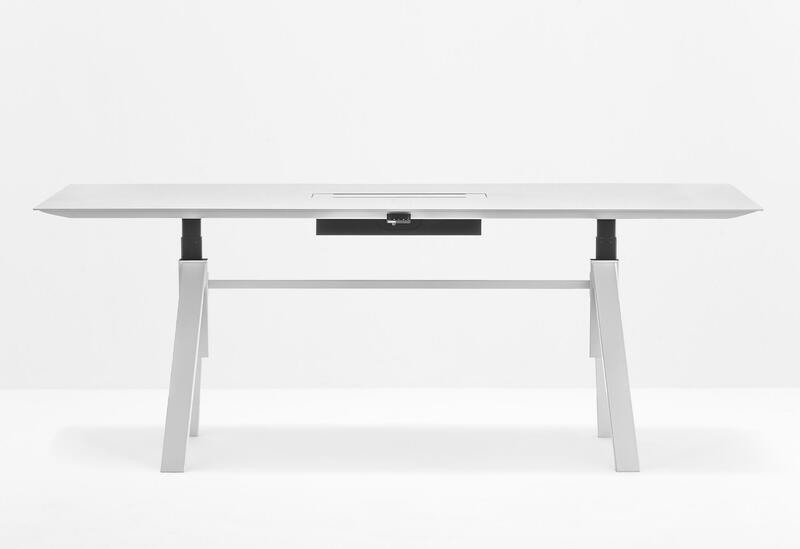 Arki-table optimizes its ability to meet the needs of flexibility and functionality of modern offices, with a new version with the height-adjustable top. Suitable for meeting rooms and work stations, this table is able to adapt to his users and their needs, making real the concept of smart and dynamic office. 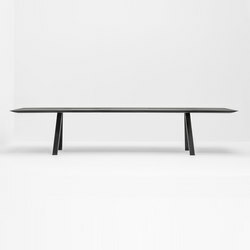 Top in three dimensions: 1000 x 2000mm; 1000 x 2400mm; 1000 x 3000mm. 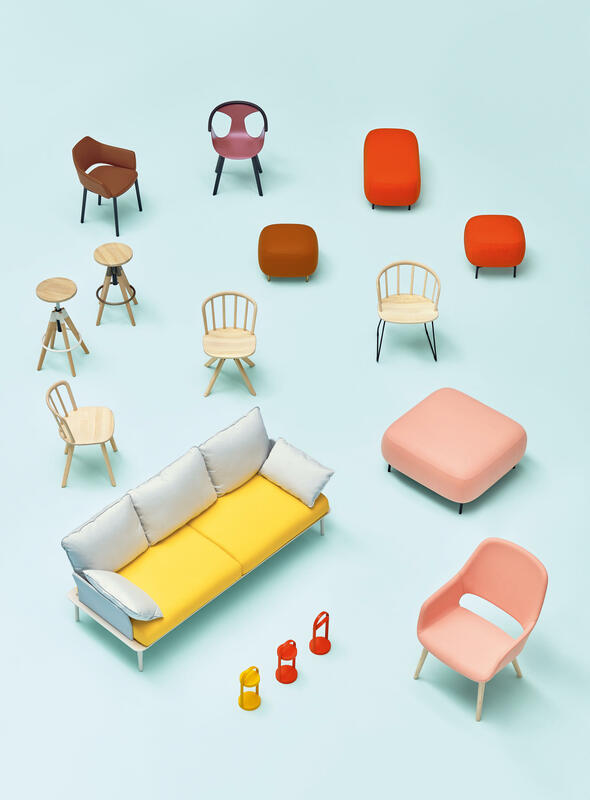 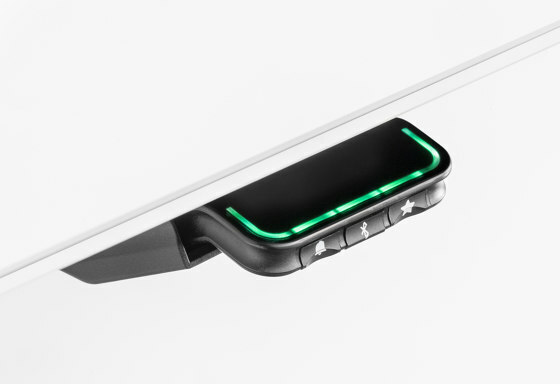 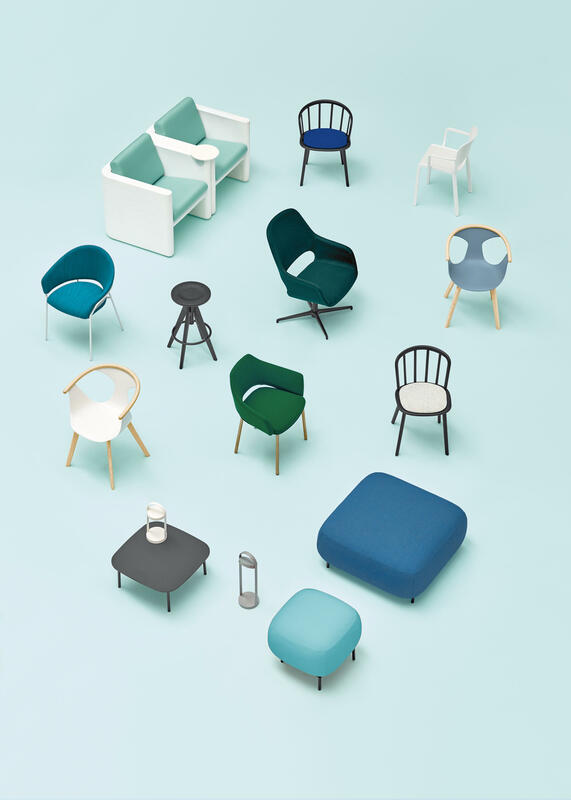 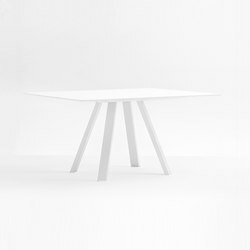 Clean and rigorous in the design project but versatile in its different applications. 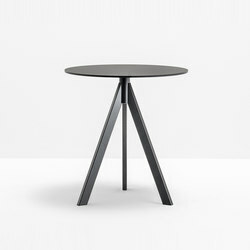 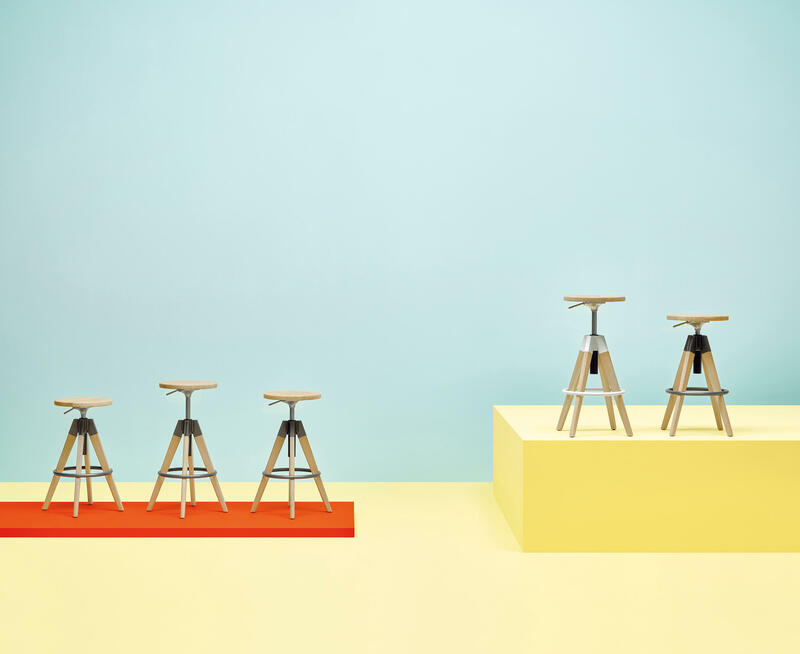 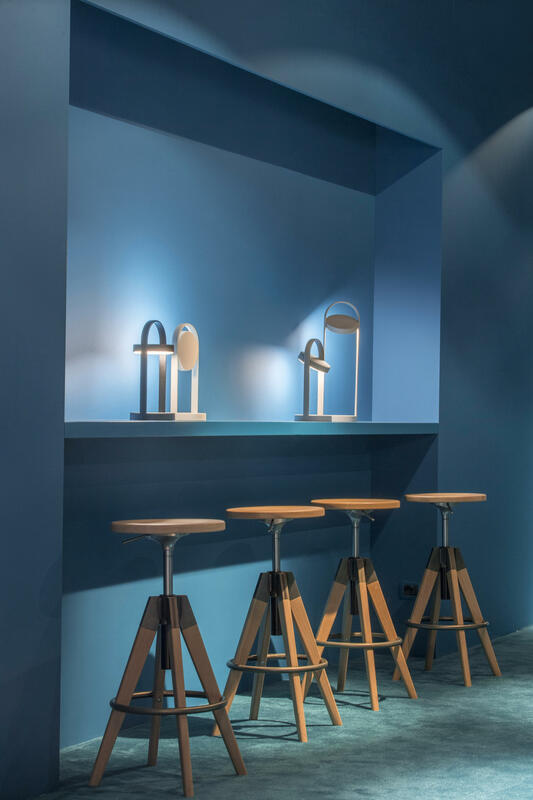 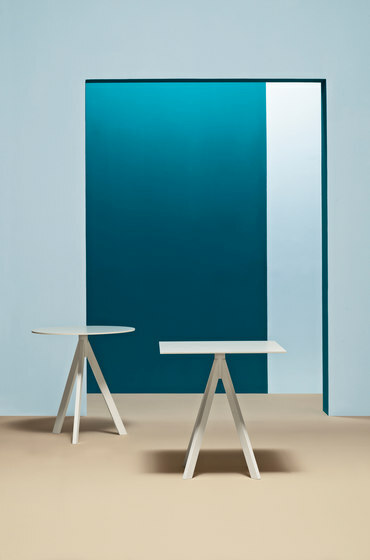 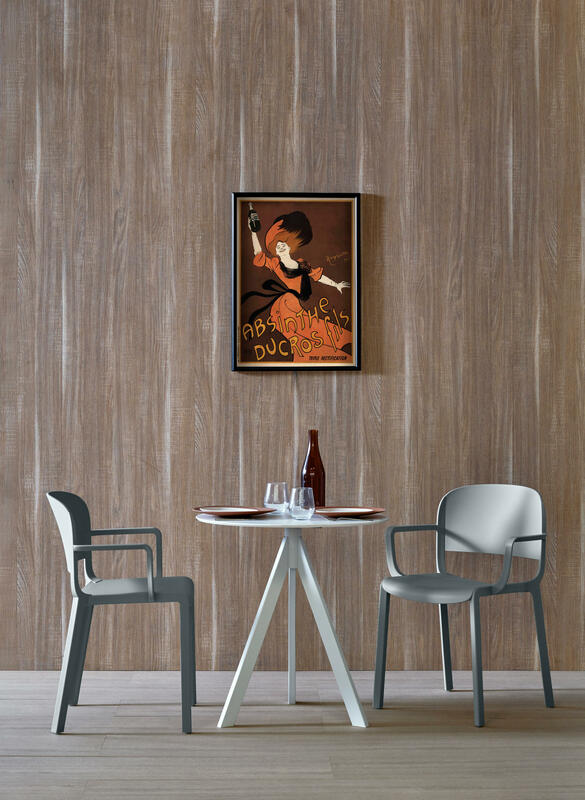 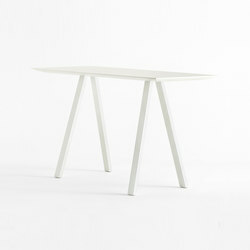 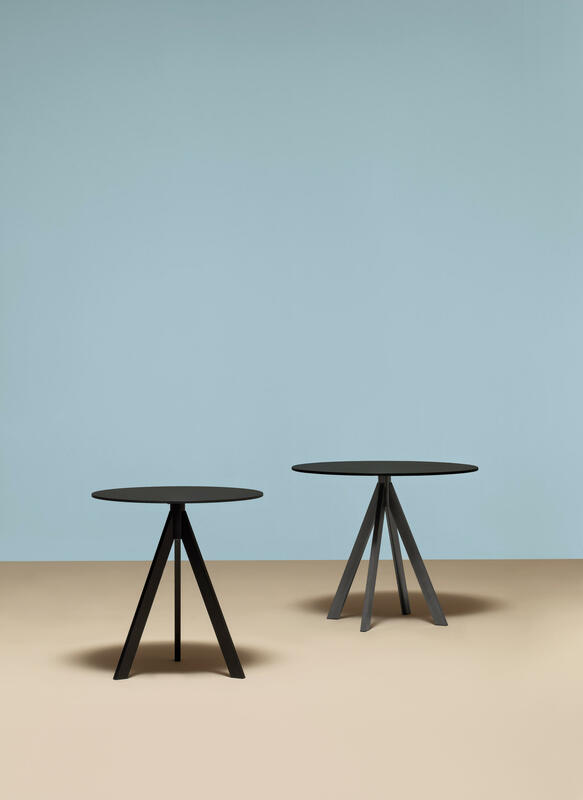 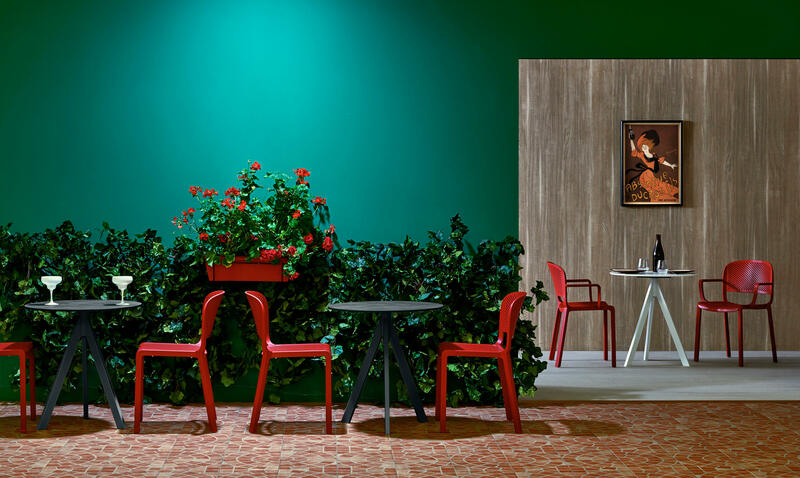 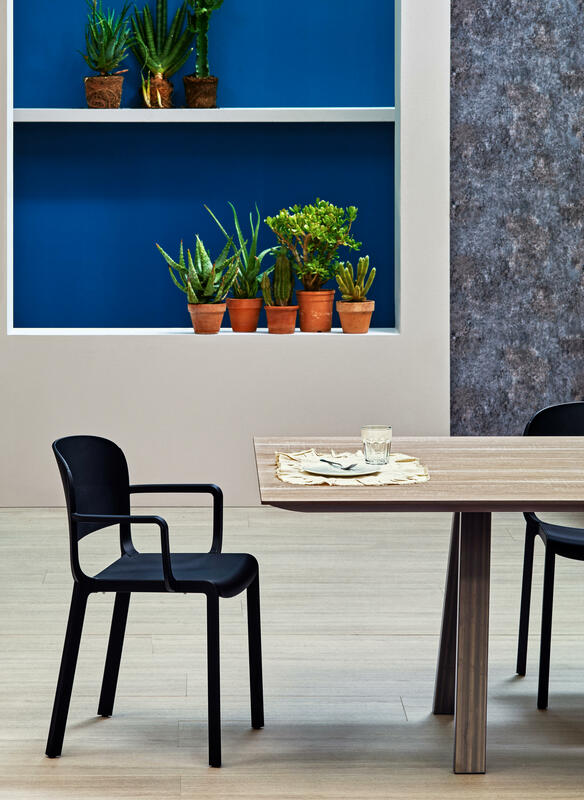 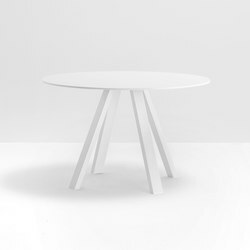 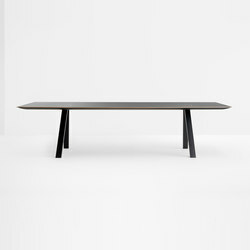 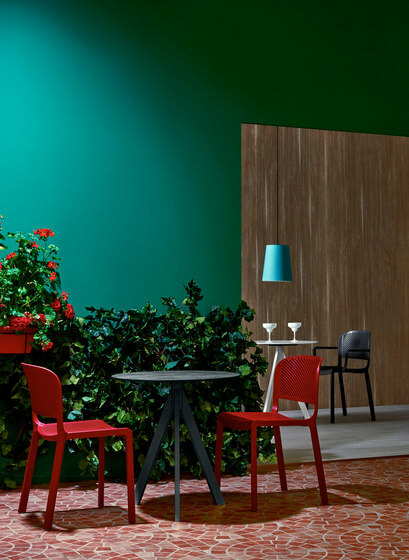 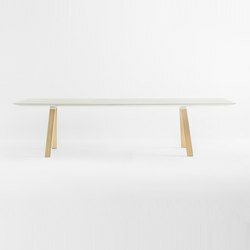 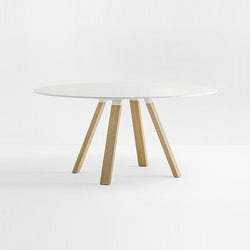 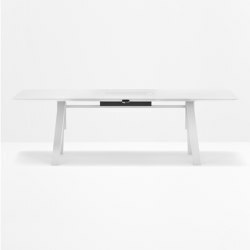 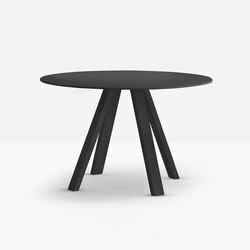 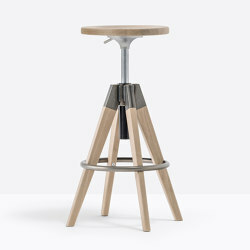 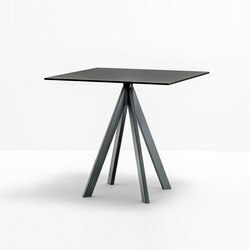 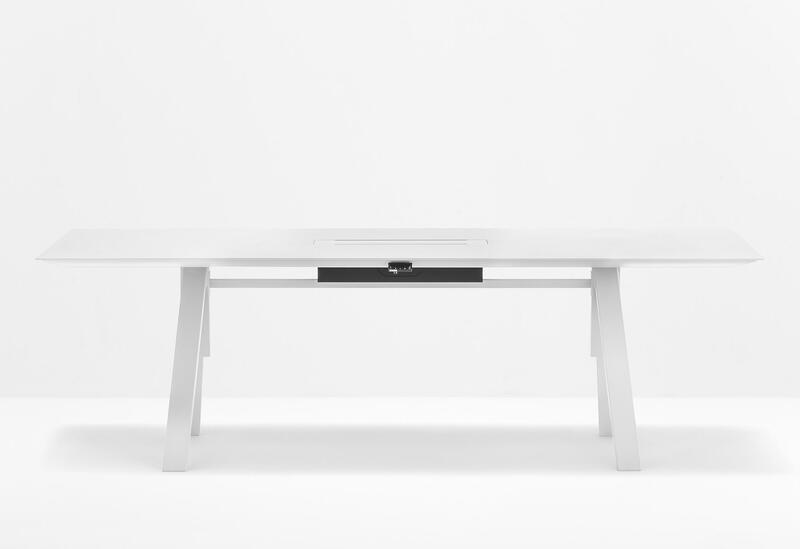 Arki-Table has an ultra-thin top supported by an extruded aluminium frame that remains hidden while the trestle steel ensure stability and excellent grip on the ground.